NARAM-60 is being flow at one of the best rocket launch sites in the USA. The launch field offers a paved road leading out to a very large gravel covered area which allows for safe launches of the largest rockets even during the dry season. There is a vast open area for recovery. Whether your rocket is big or small, you shouldn’t have a problem recovering it. Our primary launch site has HIGH POWER rocket launch capability. 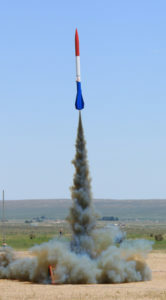 We have the FAA waiver to fly Model and High Power rockets to 8,000 feet, weather permitting. The launch site is the Hudson Ranch. It is located about 9.5 miles west from the Walmart (at Pueblo Blvd.& Hwy.78) on Beulah Hwy. 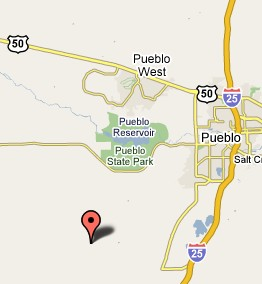 It is located on the right side coming from Pueblo. Click here for a detailed map to the NARAM 60 launch site.